In this article, you can read that 44 years ago, the first ATM was installed by Barclays Bank in Enfield, North London. 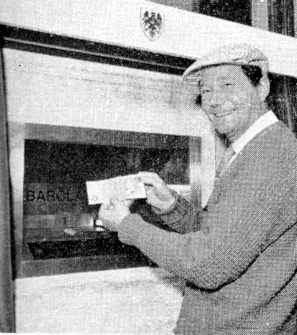 And there's a picture of that moment remaining, as Reg Varney (who played in the serie On the Buses) was asked to help out in the publicity. Of course this development was for some time on its way. And the Dutch banks and Postal Giro Services started considering using the ATM as well. 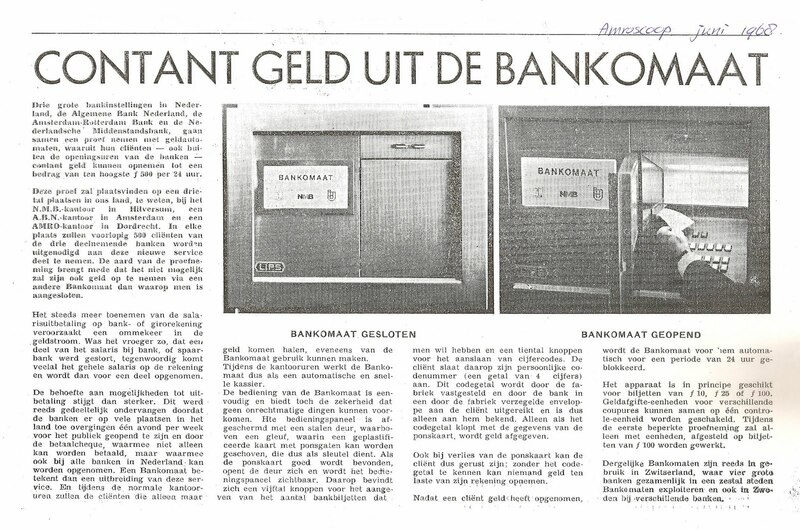 Thus, one year later (1968) the banks ABN, AMRO and NMB, started out a trial with a so-called Bank-o-maat at three banks. The ABN AMRO Historical Archive was so kind to provide me with a picture (they actually also have the actual machine somewhere in the cellars) of that machine. 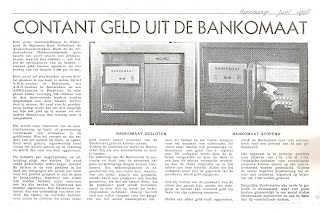 In the same year (1968: details forthcoming) the Postal Cheque and Giro-Services (PCGD) held a trial with an automated teller machine in Alphen a/d Rijn. I don't have a picture but somewhere hidden in my archive I do have a many-pager evaluation report on its features and future applicability for the PCGD. Also I am aware of one other trial in 1972, where the Algemene Bank Nederland trialled a Burroughs machine in the Vijzelstraat 20 (which was for internal personnel only). 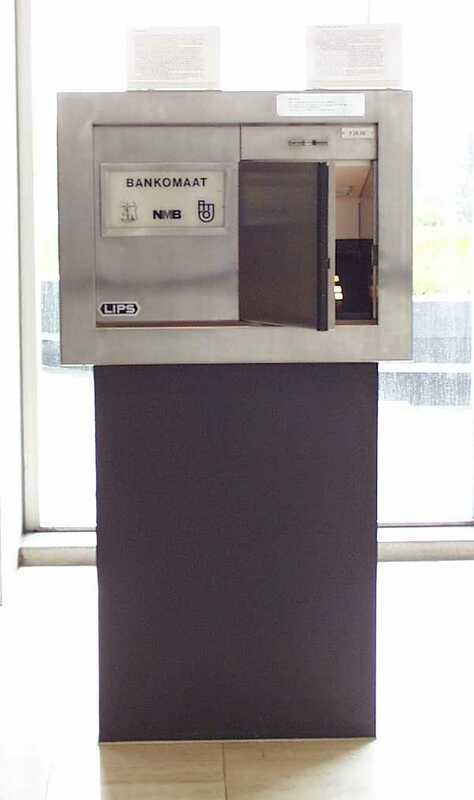 The first ATM however, to be used for regular customer purposes (not as a trial), was introduced by the former Gemeentegiro Amsterdam (GGA) in 1976. The director of the GGA, Stofkooper, had by that time most likely some hunch that some point in the future he would inevitably have to merge with the bigger Postal Giro Services. So he decided to invest heavily in all new technologies and equipment, to make sure that his bargaining position was as good as possible. And as a result the GGA was also one of the first institutions to have a well functioning on-line verification network between remote-offices and headquarters.